True Vintage 1920's day dress. 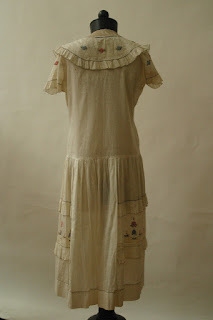 Super fine cotton semi sheer fabric with pleats, ruffled collar and floral embroidery both front and back. Measures 15" shoulder to shoulder, 6" sleeve, 40" bust, 34" waist, 48" hips and 41.5" shoulder to hem. 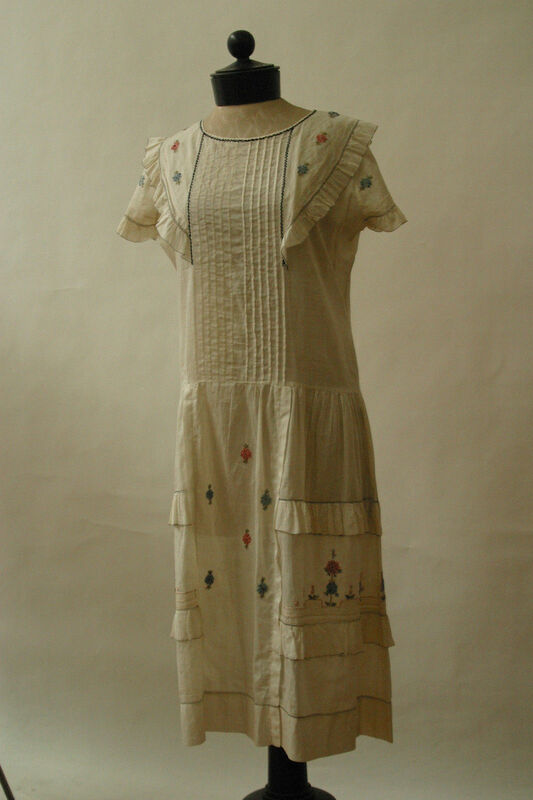 The above fashion plate is from 1922 and I suspect the extant dress is to. 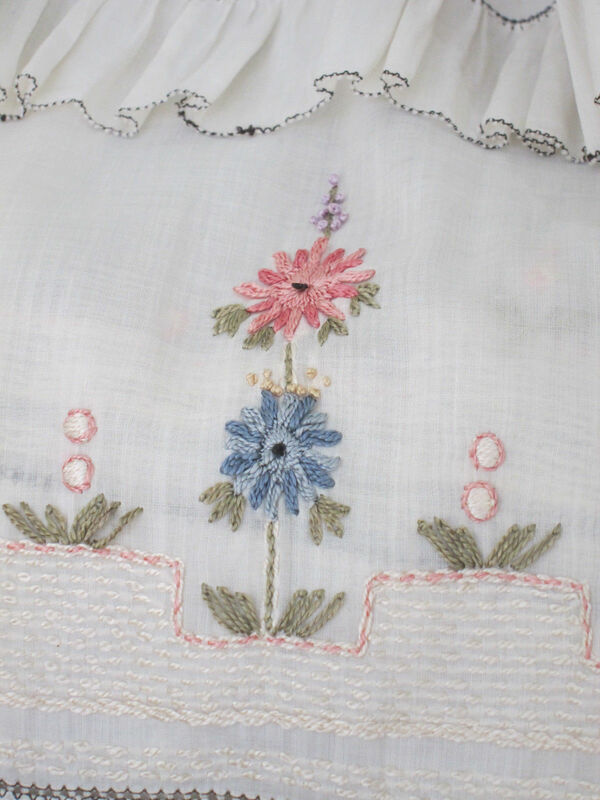 I just love the embroidery!